The annual, local food festival, Dine Around is back! Between February 19 and March 6, 2016 participating restaurants will offer three-course meals with set prices ranging from $20 to $50 as well as suggested wine pairings. All of these great restaurants are just minutes away from Travino and provide a delicious way to explore all that Saanich has to offer. Bon appetite! The Crooked Good Bistro is the place to go for a family dinner, jugs of beer on game night or live music on Sunday evenings. Their $30 Dine Around menu includes a Cheddar Meatloaf with 63 Acres ground chuck and pork infused with aged cheddar and served over roasted sweet potatoes topped with creamy cabbage and onions. There are also vegetarian and gluten-free versions of their feature menus. Ready to experience scenic dining on the West Coast? The Beach House Restaurant is located on the waterfront at Cordova Bay beach and offers a $30 Dine Around menu. Pair a Shitake Mushroom Risotto with a glass of pinot grigio, or enjoy some traditional halibut fish and chips! Locally-owned and operated, and located in Broadmead Village, Romeo’s specializes in pizza and pasta. Their $20 and $30 Dine Around menus showcase some of their best Italian dishes, such as their Creamy Chicken Pesto Penne with grilled chicken filets, roasted red peppers and asiago cheese. Yes please. This cozy, neighborhood pub located in Cadboro Bay offers a $20 Dine Around menu with dishes ranging from a seafood ceviche in a citrus and herb marinade to a stuffed roasted leg of a lamb with sage and thyme stuffing. Pair your meal with a glass of wine or one of the 12 draught beers they have on tap! Known for their specialty pizzas, pastas and authentic Greek and Italian dishes, Il Greco is located on Tillicum Rd and offers $20, $30 and $40 Dine Around menus with a little something for everyone. Their $20 feature menu includes cheesy, homemade lasagna in tomato based vegetarian sauce. For dessert? Baklava, Tiramisu or Rice Pudding! Interested in Greek dining with a West Coast spin? Olive Grove is just a short walk from Travino on West Saanich Rd. It provides a family-friendly and casual fine dining experience. The restaurant offers $20 and $30 Dine Around menus with traditional-style dishes for vegetarian, celiac and meat-loving customers! Their unforgettable Veal Saltimbocca Alla Romania, offered in their $30 feature, pairs perfectly with a glass of Sumac Ridge cabernet merlot to accentuate the hints of sage in the white wine cream sauce. Looking for comfortable and elegant fine dining? The Keg is located on Quadra Street and serves specialty steak and seafood. 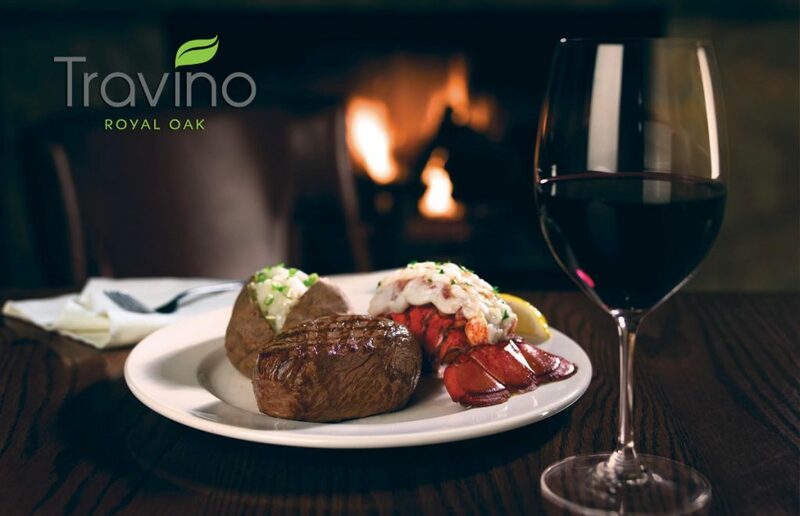 Their $30, $40 and $50 feature menus offer a variety of dishes from their classic, flavorful Top Sirloin to their hearty bone-in Rib Steak Oscar topped with shrimp, scallops, asparagus and Béarnaise sauce.